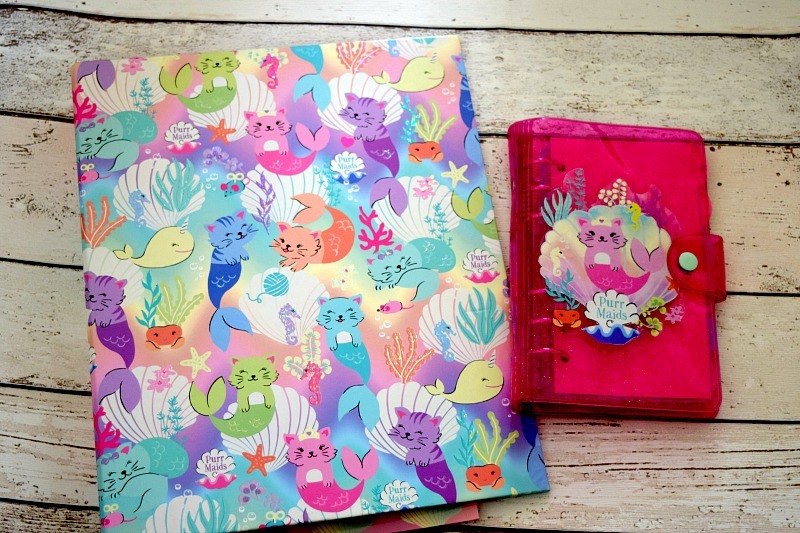 I love the PurrMaids collection at the moment! It is really unusual and what isn't there to love about cat mermaids? This Purr Maids ring binder and sticky notes, £8, is a great way to organise your files and make notes of what you need to do. 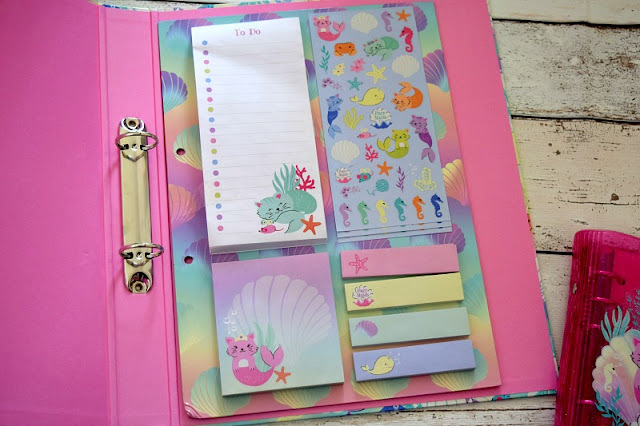 It would also make a great homework folder and the stickers would be a great incentive for completed homework! The sticky notes also come in handy to stick to things leaving yourself little reminders. 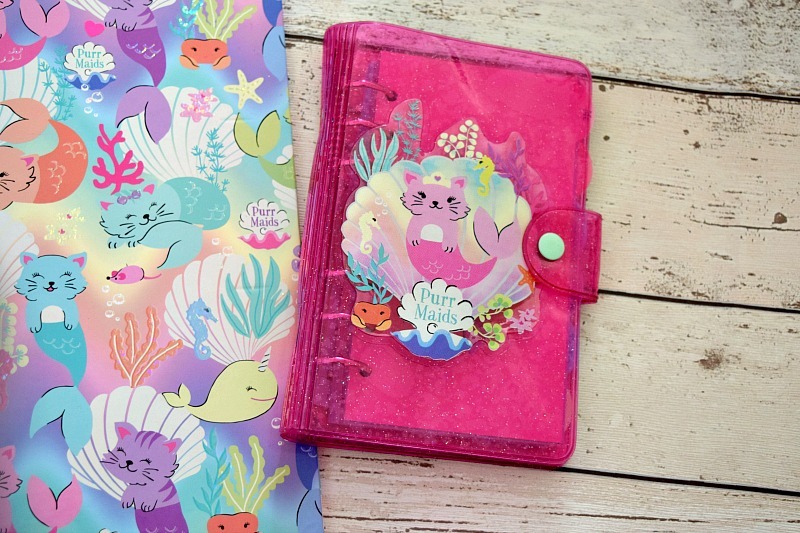 The Purr Maids glitter personal organiser £16, is amazing. I love the idea of being organised, but very rarely actually manage to organise my time correctly! With this organiser I can organise not just my own schedule but everyone else's in the house too! 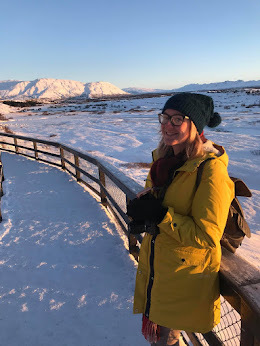 I write down all my deadlines and add the kids appointments etc. too so I am not overlapping things and it is starting to make a difference already. As well as stationery items, Paperchase also sell many different lunch items. They sell water bottles in different shapes, sizes and patterns. My favourite of these is the California Dreaming supersize water bottle £8.50, It is really big but perfect for me when trying to keep hydrated and working hard in my office area. It would be great for older kids and teens too. 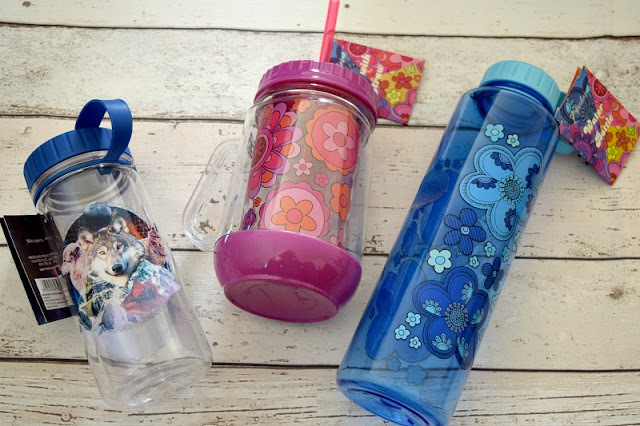 The Wolf Gang water bottle £6.50, is the perfect size for children and you can also get it in a range of different patterns for the same price, some with an added cup inside. They are very well made and easy to use. I also love the California Dreaming tankard and straw £7, although obviously not suited for school as the water would spill out, but it is great for at home or taking out and about ready to fill. The lunchboxes also come in different shapes, sizes and patterns to suit different tastes. 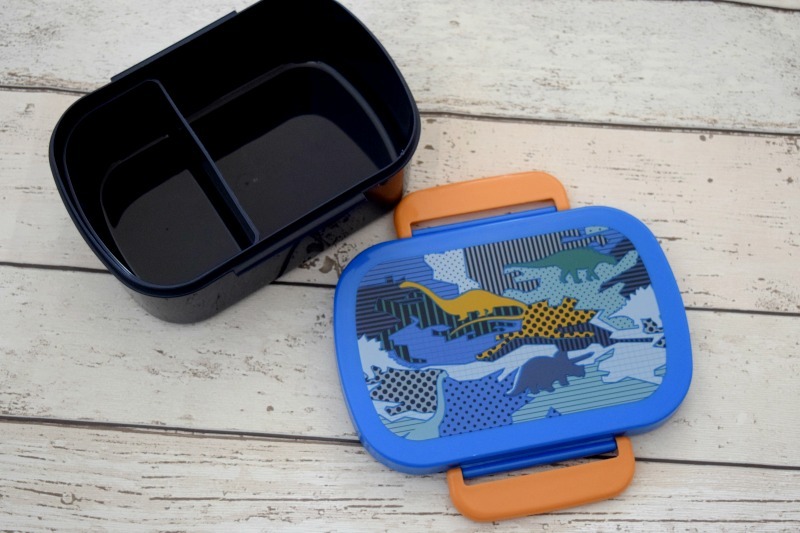 This dinosaur Monsterosity lunch box £10, is a clip top lunch box with a removable compartment which is great for separating foods. Perfect if you are a fan of salads. Zach has been using this already for picnics in preparation for his return to school in September and it has been great for storing his lunch. Also, this dinosaur Monsterosity snack box, set of 4 £8, is another great buy and is great for storing things like chopped fruit or dried snacks which you want to store separately. The boxes also store inside each other when not in use which is a great space saver! 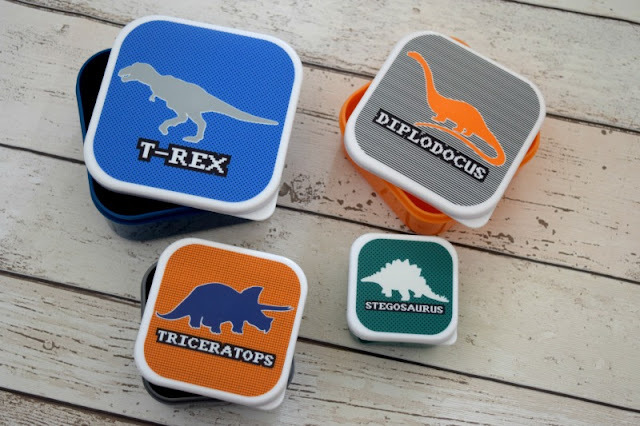 Each box has a different dinosaur on the lid with their name so it is also a great learning resource, helping younger kids remember which is which. Gracie is jealous as she would have loved the Purr Maids snack boxes. She will have to wait and see what she gets for her return to school. 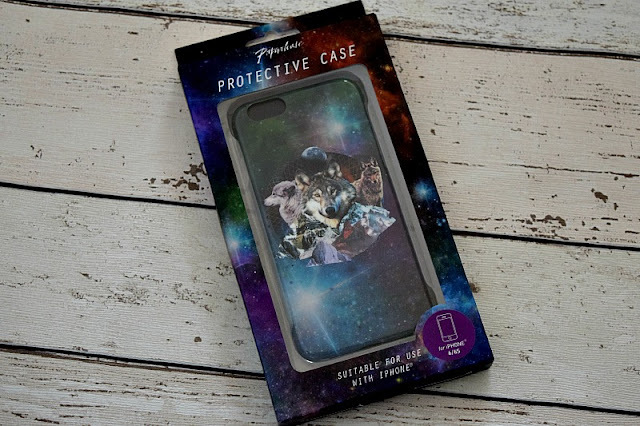 Paperchase also sell phone cases, great for protecting your phone whilst in a heavy bag full of school supplies. Obviously this is more suited for the teachers and teens as I doubt there are many pre-schoolers with an iPhone (if there are, I am jealous!). This Wolf Gang protective phone case £12, can give added protection to your phone when being carried around in your bag. This is just a tiny selection of the Back to School range at Paperchase. The backpacks are amazing. I love the Purr Maids shell mini backpack and the Serengeti backpack to name a few! You can also find most of these products in your local Paperchase store.